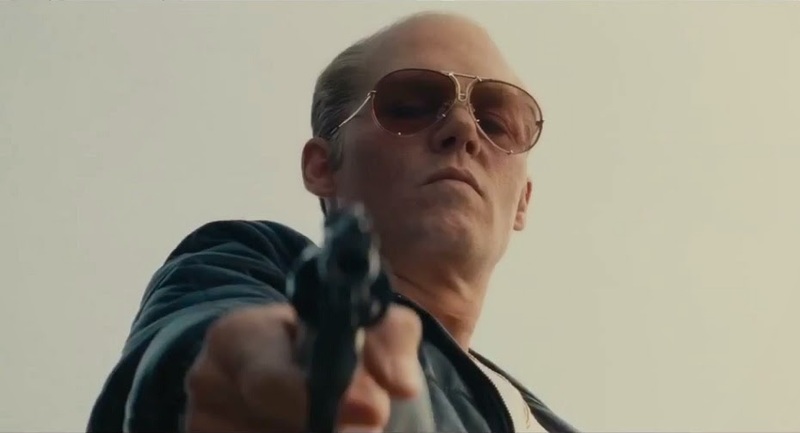 Twice this week I've found myself involved in conversations about Black Mass, the Whitey Bulger biopic starring Johnny Depp as the infamous Boston mobster and FBI informant. It's remarkable considering that, before a few days ago, I kind of forgot that the movie even existed. You can hardly blame me - Johnny Depp hasn't given us serious reason to get excited about one of his movies in quite some time. I've been curious, as I am with just about any movie set and shot in my home town, but it's fair to say that my expectations have been pretty low up until now. Today we got our first look at the film courtesy of this trailer and I must admit, I'm more than a little impressed. First things first: unless you count his hairpiece, Johnny Depp makes it through all two minutes of this trailer with nary a silly hat in sight. Huzzah! And those blue contact lenses give him a serious case of Crazy Eyes. It's also worth noting that Depp manages to pull off one of the more convincing Boston accents in recent memory. It's one of those very particular vocal traits that's easy to exaggerate in a comedic context but harder to portray naturally, let alone utilize with genuine menace. The Departed (whose Frank Costello was based largely on Bulger) is one of the high watermarks in this regard. Mystic River is like nails on a chalkboard to my ears. I hadn't realized that the cast was so stacked either! Joel Edgerton is always a welcome addition to any movie, and I'm a big fan of Dakota Johnson, 50 Shades notwithstanding. Plus Lance/Landry! And might we be treated to the dulcet tones of Benedict Cumberbatch's version of a Southie drawl? I live to dream.